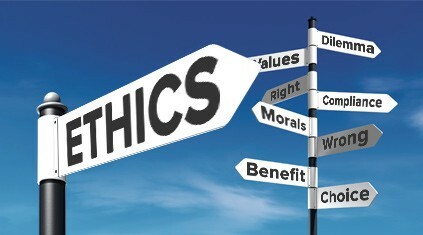 Should Ethics Matter For Consultants? I’m a digital consultant, at PowerThru. I’ve been in the professional campaigns world for over a decade now, and consulting for much of that time. Over the years, I’ve seen a lot — but nothing compares to what we saw in 2016. There are legal boundaries governing the work of consultants. In fact, the industry is increasingly seeing them enforced. Campaign “guru” Ravi Singh, for instance, is facing sentencing this month on four federal charges, while in South Carolina one of the state’s top consulting shops, Richard Quinn & Associates, is currently ensnared in a public corruption investigation. While legal issues are between a consultant, their attorneys and the investigating authorities, ethics are a different matter altogether. Ethics in other fields provide the parameters for a professional body to judge its practitioners, but they are more of a grey area than a means of industry governance for campaign consultants. While the AAPC has codified ethics, and requires members to sign on to its standards, that code is rarely (if ever?) enforced. Another mechanism our industry has to self-police is awards. Practitioners now routinely vote on the work of their peers and could incentivize best practices by voting in favor of ads deemed to meet a high ethical standard. But unfortunately, awards also fall short as a governance mechanism, and this cycle is evidence. If an ad is xenophobic, sexist, racist or homophobic, but is used by a winning campaign, is it worthy of an honor? Should the campaign itself even be eligible for awards? That’s a question we need to answer as a profession. Meanwhile, when it comes to the AAPC’s code of ethics, what does it mean when a consultant violates that code? What if they violate it and win? Now, it seems that we have an answer. The consultant in question wins an award. The AAPC gave Trump advisor Kellyanne Conway the “Most Valuable Player of the Year” Campaign Excellence award at its annual conference in 2017. This is one of our industry’s highest honors. Undoubtedly, Conway has broken ground, as the first female campaign manager of a winning presidential campaign. Can anybody associated with the Trump campaign strategy say that? If our own industry cannot self-police its code of ethics, and we give awards to people who push the boundaries of what the industry has considered acceptable moral practice, why do we have a trade group at all? The repercussions of 2016 will long be felt in our country, and all us consultants have some soul-searching to do too. We need to determine what is and isn’t acceptable in campaigning. How do we hold each other (and ourselves) to account when somebody takes the low road — and wins? Note that I’m going after the Trump campaign generally and Conway more specifically, but that doesn’t let others off the hook. In digital, my segment of the industry, all kinds of unethical list-swapping, online fundraising for dodgy scam PACs, email fundraisers that cross the line into scaring or misleading donors happen every day. There are dark corners in every segment of campaigning, and bad behavior doesn’t belong solely to one political party. Is all fair in campaign world, or do we draw the line somewhere? If so, what can we do about it? If all that candidates care about is the win, there’s no disincentive for playing dirty. Consulting isn’t a licensed field, per se, so there isn’t a review board that could pull somebody’s credentials for dirty campaigning. All that any organization such as AAPC could do, is refuse to give awards to people and campaigns that don’t meet ethical standards — and revoke memberships/speaking opportunities/writing opportunities, if the person in question is indeed a member at all. As a member of the AAPC, I feel like that is the very least they can do. There are ways to censure the practices of bad actors in the consulting industry. It’s a question of whether we want to use them.